Preparations are underway to ensure the success of the Lebanon-U.K. Business and Investment Forum, which will be held in London on Dec. 12, the British ambassador to Lebanon and a representative of Prime Minister-designate Saad Hariri said Friday. 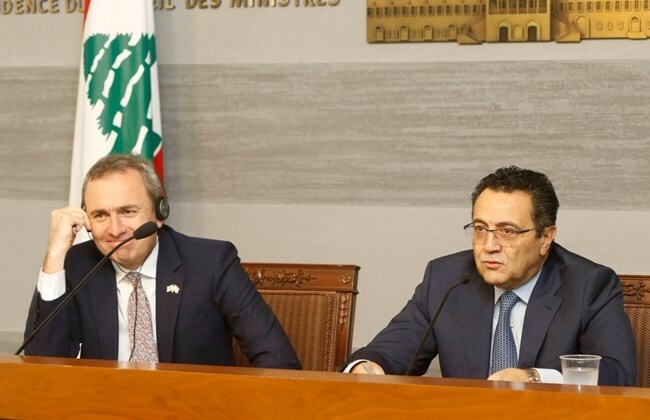 Speaking at a news conference, both U.K. envoy Chris Rampling and Hariri’s adviser Nadim Munla briefed reporters about the importance of the one-day conference that will be attended by hundreds of Lebanese and British business people and investors. Munla brushed off fears that Brexit may dissuade British investors from undertaking any business projects in Lebanon. “After Brexit, we believe that there are more opportunities for us to exchange ties,” Munla said. 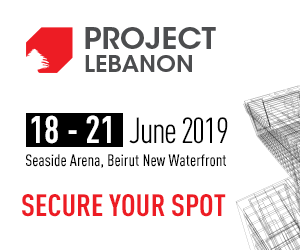 The forum, the first of its kind, will see British ministers and Lebanese officials come together and showcase the market opportunities Lebanon has to offer. Minister of State for the Middle East at the Foreign and Commonwealth Office Alistair Burt and Minister of State for Trade Policy George Hollingbery are two of the many British officials that will be in attendance at the event. “We strongly support this forum … and there will be senior British involvement,” Rampling said. The adviser added that the forum will provide a platform for Lebanon to display its vision for the infrastructure Capital Investment Program, public-private partnership projects, and investment in the oil and gas sector. At the CEDRE conference in Paris last April, the international community pledged $11 billion in grants and soft loans. Rampling said the December forum is a “more detailed” follow-up on CEDRE. World Bank officials have repeatedly suggested that Lebanon may be deprived of the soft loans pledged to the country if the government fails to use the allocated funds. Questions are being asked over how effective next week’s forum can be, in view of numerous past conferences that have failed to result in anything concrete. Munla, however, cited previous announcements that Beirut’s only functioning airport will be expanded, a Dbayeh-Okaibeh Highway will be built and Lebanon will get a new “data center or iCloud” as all of interest to investors and companies. “We said that it would be at least 18 months before projects [of CEDRE] are started … and the Cabinet deadlock has not helped, but we are still working on how the funds will all be divided,” Munla said. “On the sidelines of the meeting, there will be a special session with the governor of the Central Bank to reassure investors, in addition to the signing of a contract between Rolls-Royce and Middle East Airlines,” the adviser added. Central Bank Gov. Riad Salameh, is scheduled to meet with British investors to allay fears about their Lebanese Eurobonds during forum next week. Non-Lebanese investors hold around $9 billion in the Lebanese sovereign Eurobonds, representing 11 percent of outstanding bonds. The price of the Eurobonds has fallen in the secondary markets in the past few months due to political paralysis in the country and the failure to form a Cabinet quickly.